MLB issued suspensions to Pittsburgh Pirates pitcher Chris Archer, Cincinnati Reds outfielder Yasiel Puig, and Reds manager David Bell on Tuesday. What happened: The suspensions stemmed from Sunday’s brawl, which transpired after Archer deliberately threw behind Derek Dietrich. TBoth Archer and Puig deserved suspensions, and indeed, Puig won’t even appeal his (Archer is appealing). The big picture: The problem is that these two suspensions — Archer got five games, while Puig got two — didn’t remotely line up with what should have happened. Archer started it by deliberately throwing at a player who had stood him up earlier by admiring his home run. Puig was defending his teammate. Archer is a pitcher. He could technically not even miss a start if the Pirates alter the lineup a bit, because starting pitchers only play every five games to begin with. Puig, being an every-day player, essentially got double the suspension. There’s nothing right about this. MLB got this one wrong. 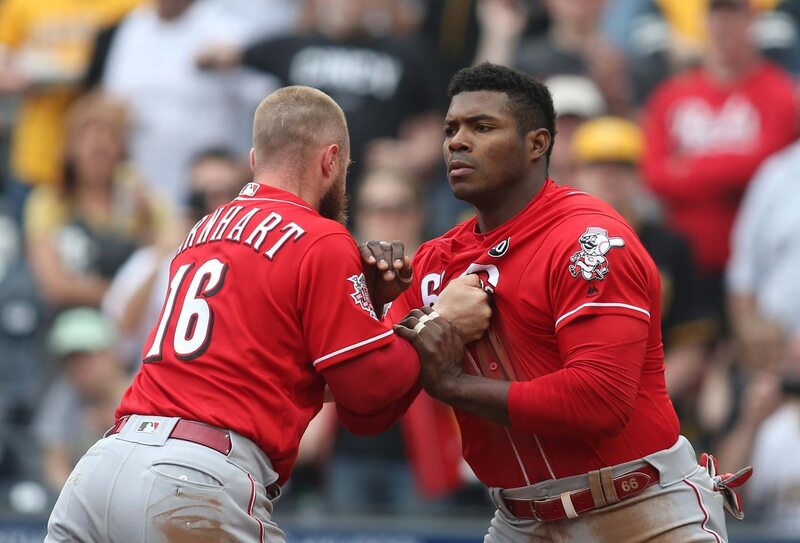 The problem: Puig shouldn’t be disciplined twice as much for defending a teammate. If anything, MLB should discipline Archer with a much more significant penalty. In no way, shape or form does this suspension do anything to deter Archer — or any other pitcher, for that matter — from doing the same thing next time. The bottom line: At this point, we just hope it doesn’t take someone getting seriously hurt on a retaliation pitch for the league to get this fixed.